So you want to get stuck into some Japanese culture, but ikebana or tea ceremony classes don’t appeal? Why not to try an armour (yoroi) course in Kyoto? 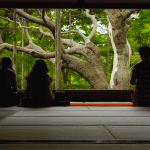 Nagatoshi Uzuki, armour master (Miyako yoroi) and his artist wife Ako, from an old samurai family, will introduce you to the craft in their traditional house in Kyoto‘s Nishijin district. 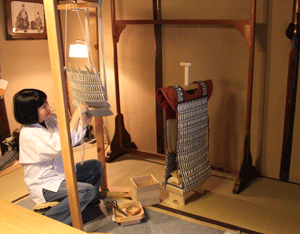 From the house, not far from the Seimei Shrine, the couple runs a workshop in contemporary armour making. At their Usagi Juku workshop, they can teach you the traditional craft of braided cords (Kyokumihimo) fringed thread (Kyo-fusashimo) and metal fittings (Kyo-kanamono) that make up Heian period court costumes. Japanese armour and helmets (kabuto) have their roots in the Heian period (894- 1191) and are distinguished by the beauty and elegance of the braided cords holding the tiered scales together. The colors of the threads are chosen from nature and they actually change from season to season. Further study, with Akira Kasai of the Takata family, Imperial suppliers and Muneyuki Myochin, the 25th generation head of the Myochin school of armour, turned the interest into a passion. “Now I strive to create yoroi infused with a contemporary sensitivity.” At Usagijuku, students will learn how to create life-size armour and helmets by hand. They will be introduced to the craftsmanship of Kyubi-no-ita, the wooden plate hanging on the front left size of the breastplate whose upper edge takes on the shape of a dove tail, a symbol of divinity. They will also test their skill by making the beautiful Sendan-no-ita, the braided plate on the right side. This part of the armour is made of three tiers of Kozane-ita (scales), laced together to allow more flexibility in the wearer‘s movement when drawing a bow or wielding a sword. A successful apprentice will be also able to parade wearing their masterpiece during the Yoroi-Kizome-Shiki (armor wearing ceremony) held in Kyoto every November. In any case, they will be making a good investment. The cost for a modern replica of quality Japanese armour could be around the 5 million yen mark. The ‘do it yourself‘ version could be ten times cheaper – plus one year of good work. 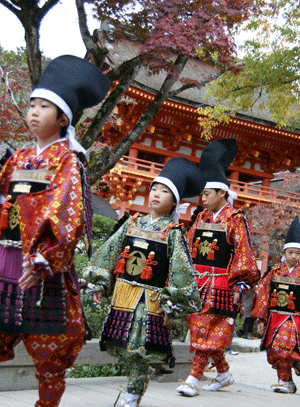 For more details and to arrange a visit to Usagijyuku, see its website: click here.